Well, the local guy was recently on a hunt for some good authentic southern fried chicken in our city. Since I was not in a hurry, I was not looking for a KFC, Popeye’s or Maryland Fried Chicken. I was looking for something special. I was looking for a place the locals go. I was looking for a place my granny (if she was living) would approve of. And yes, the Unofficial Restaurant Review comes through again. 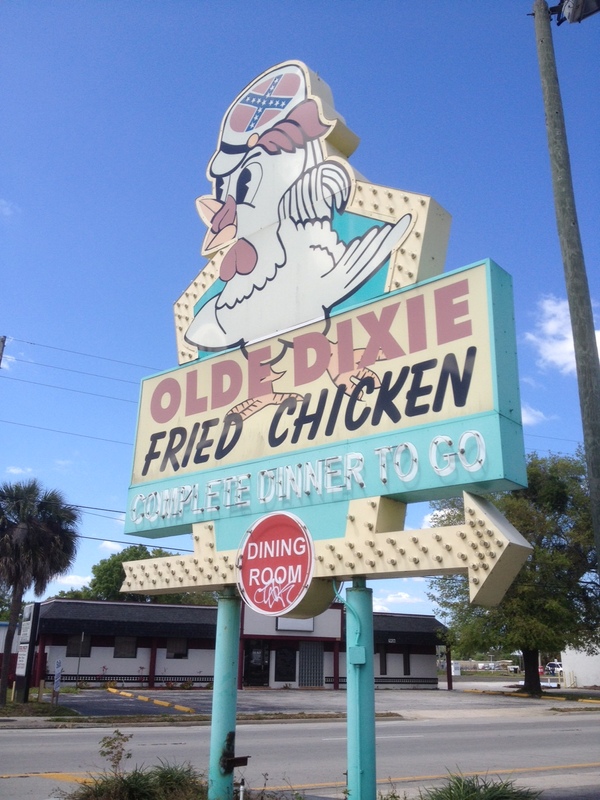 I am talking about the almost legendary Olde Dixie Fried Chicken. This place is located on Orange Ave near or close to Pine Castle. This place has been around for decades; actually I am told next month in April 2012 Olde Dixie Fried Chicken will have been open for 50 years. There are not many restaurant landmarks left in Florida like this that have been around this long. Let me tell you a few facts. It is not fancy. It is not expensive. No ambiance. Light on décor, but Olde Dixie Fried Chicken serves up some of the best fried chicken in the South folks and that is a fact! I tried the 3 piece chicken dinner with 2 sides. The chicken was hot, juicy, tender, and cooked to perfection. The breading is so light, you think you’re eating broasted chicken. For my sides I had the baked beans (ok), and the mashed potatoes and gravy. I really liked the mashed potatoes and gravy. It also came with small plain store bought dinner rolls. They also serve good tasting sweet ice tea. What is fried chicken without sweet ice tea? Next visit I am trying the French fries, I understand they are quite popular. The star of the show is clearly the fried chicken. As I mentioned it’s not a five star place but it has 5 star fried chicken. 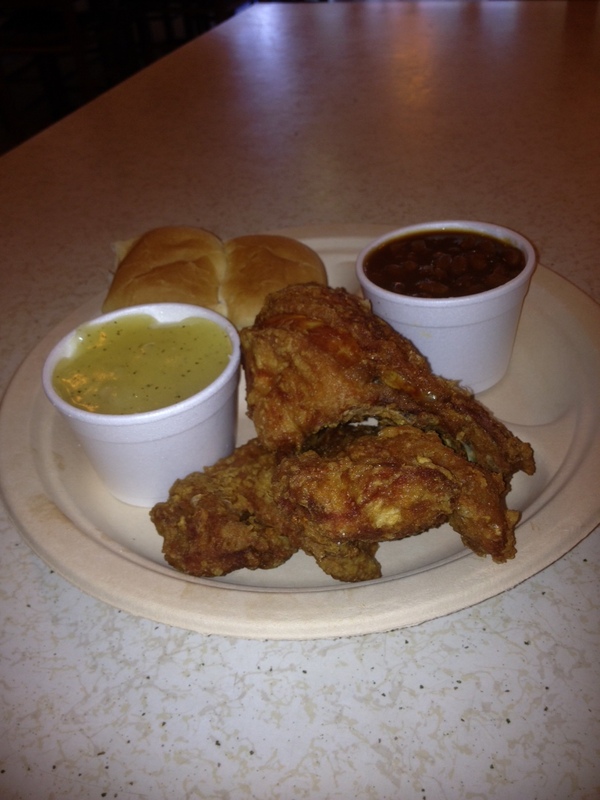 This old school place clearly has a PHD when it comes to making fried chicken. Yes it’s that good! How does this old school place work? You place your order at the counter. You then have a seat in the dining room which is near by. The server will bring out your order to your table. The servers clean up after you. The servers were all polite and friendly and acted like they cared. When you are finished you pay at the register. FYI they only take cash. Most chicken dinners only range from $5-&7. It’s very reasonable.